A one-day trip to the agro-touristic site 20 kilometres south of Toamasina. 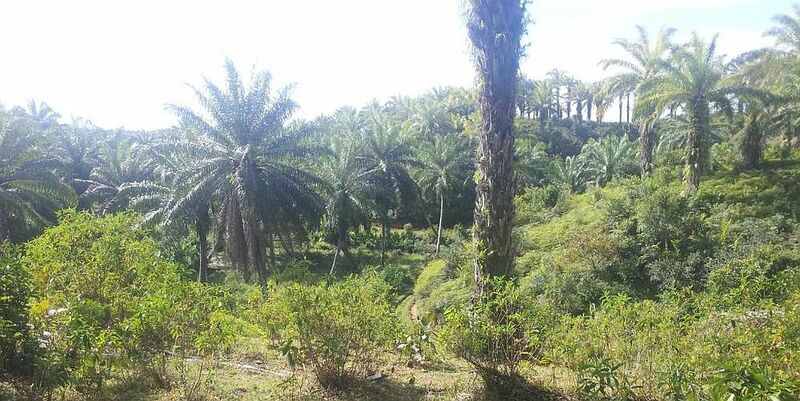 During the guided tour you will learn about the growing and processing of organic grown palm oil and other agricultural products of Madagascar like sugar, coffee, vanilla, cloves and pineapple. Bird watching is another possibility here. Price: The entrance fee is Ar. 42 500 (€ 13.50) per person. The maximum number of participants is 20. For a group of 6 – 12 persons we can hire a minibus, costs between Ar. 10 000 (€ 3.-) and Ar. 19 000 (€ 6.-) per person, depending on the number of participants. Price for a car with driver on request. Public transport will be Ar. 3 000 (€ 0.85) per person one way – we make sure you’ll find the right bus and get off at the right stop. The boat is an all-in price (boat, entrance fee, guide and lunch) ranging from Ar. 100 000 – 150 000 (€ 29 – € 43) per person, depending on the number of participants.